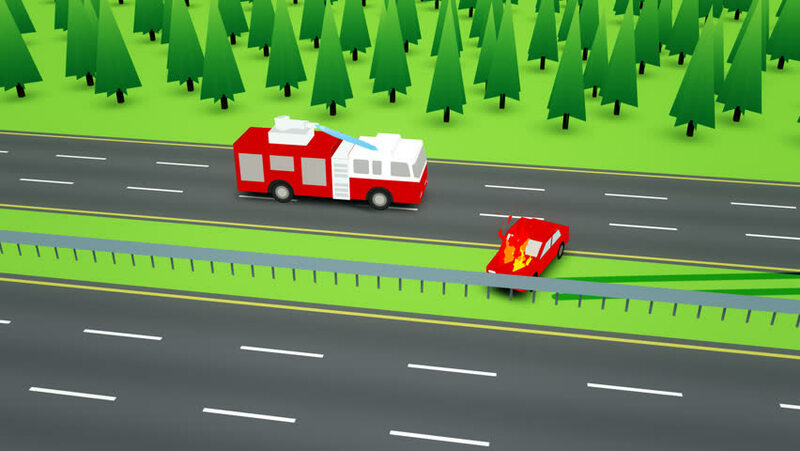 Animation of a fiery car accident on the highway with a fire engine arriving immediately after. hd00:12Highway traffic on rainy day in non-urban area. Long shot. hd00:16Belarus, Minsk, june, 16.2016: Shooting of driving from the car with the mounted camera, road of Belarus. hd00:19Idstein, Germany - October 29, 2018: Dense traffic and trucks on German highway A3. A3 is a heavily frequented highway that connects the Dutch border with Passau.